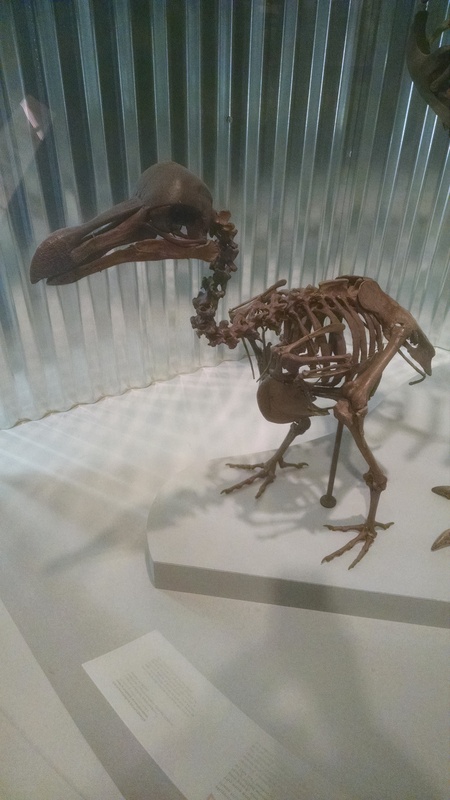 "The United States National Museum has recently purchased, for exhibition at the Lewis and Clark Centennial Exposition, the skeleton of a dodo, Didus ineptus. The specimen lacks the back part of the skull and the ribs, and the pelvis is imperfect behind. Some of the phalanges have been restored. As mounted, the height of the skeleton is 0.66 m. Beside this skeleton, the National Museum possesses a cast of the foot and of the dried head which are in the museum of Oxford University, and also a cast of the skull in the Royal Zoological Museum at Copenhagen (Nos. 16,954, 55, 57). By the aid of these casts and the excellent drawings published by Owen in the Transactions of the Zoological Society of London, it is anticipated that the skeleton can be completely restored without difficulty." F. W. True. 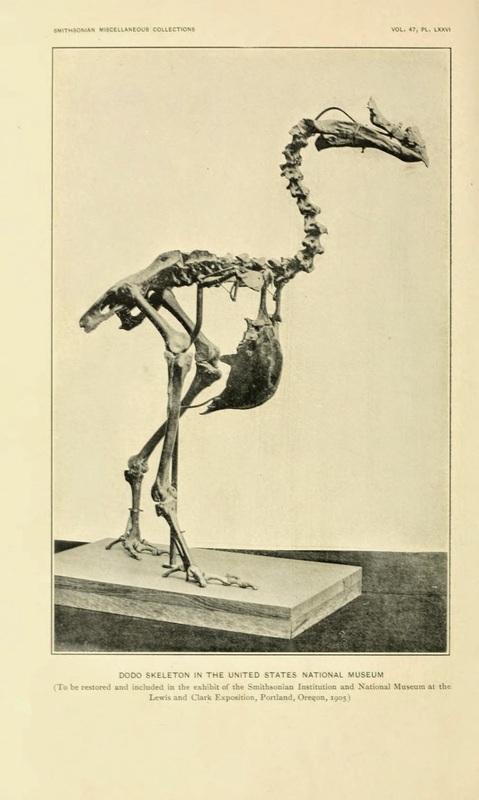 "Dodo Skeleton" in Smithsonian Miscellaneous Collections, Volume 47 (1905), Plate LXXVI, p. 17. 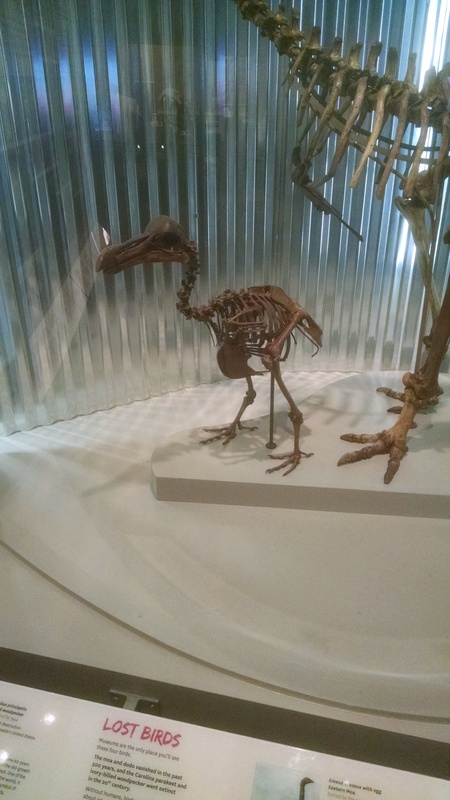 Recently (November 2014), the Smithsonian's National Museum of Natural History opened a new exhibition, "The Last American Dinosaurs: Discovering a Lost World"
Originally, the dodo skeleton was exhibited at the Lewis and Clark Centennial Exposition in Portland Oregon (which opened on this date in 1905). You can find information about the Smithsonian's exhibition there at Smithsonian Institution Archives collection.